The 2011 National Assisted Living Week celebration began on the 10th anniversary of the Sept. 11, 2001, tragedy. 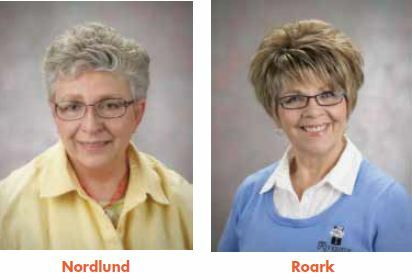 On the anniversary, Riverside Lodge Retirement Community, in Grand Island, Neb., launched a weeklong series of events that successfully incorporated the theme, “Forever Proud” and included residents, staff, volunteers, families, and local community groups. “We are ‘Forever Proud’ of our God, country, community, culture, accomplishments, and military, which is why these were chosen as the areas to program activities around,” wrote long-time staff members Grace Nordlund, assisted living activity coordinator, and Cathy Roark, resident services coordinator. Their ideas, support, and direction earned Riverside Lodge NCAL’s 2012 National Assisted Living Week Programming Award. Riverside Lodge remembered the tragedies of Sept. 11, 2001, with a parade and memorial service on Sunday. The parade included Nebraska’s lieutenant governor, Grand Island’s mayor, local veterans groups, and local boy and girl scout troops. Riverside Lodge’s parade entry featured the Statue of Liberty which was painted on the back of the float by a Riverside Lodge resident who is a 98-year-old retired art teacher. Riverside Lodge veterans rode their own horsedrawn float. The parade marshall, the bishop of the Grand Island Diocese, a retired two-star general who happened to be in Washington, D.C., in 2001, spoke at the memorial service about the loss of his Air Force comrades who died when the plane flew into the Pentagon. The week’s other activities included a salute to the military that featured three Riverside Lodge residents speaking about their war experiences. In addition, residents baked cookies for delivery to the Grand Island Veterans Home. Several local businesses, often visited by residents, were invited to give presentations on their histories and encouraged residents to share their memories. An owner from Lee’s Family Restaurant, representing the third generation family members who owned the business, gave a talk and served up the restaurant’s famous mile-high Sour Cream Raisin Pie. The marketing director from the Union Pacific Railroad talked about the company’s history. Afterwards, residents who had worked for the Union Pacific shared their memories. Charlie Bosselman, chiefexecutive officer of Bosselman Companies, spoke about his grandmother Maxine’s achievement. Maxine, a resident of Riverside Lodge, and her husband started the company in 1948 when they opened a truck stop on U.S. Highway 30. Today, that company employs more than 1,200 employees in 21 states. Residents and staff enjoyed Bossleman’s famous four-pound burgers! Singing and dancing was left to staff members dressed as movie stars such as Ginger Rogers and Fred Astaire, who danced to the waltz as part of the USO show. Everyone sang to songs from the Big Band era or Shirley Temple movies. On Saturday, residents supported the University of Nebraska’s Huskers football game with a tailgate party. “Riverside Lodge is forever proud of our community, our residence, our staff, and, most of all, residents who through their patriotism, work ethic, and strong family values have made this great country what it is today,” the coordinators wrote.